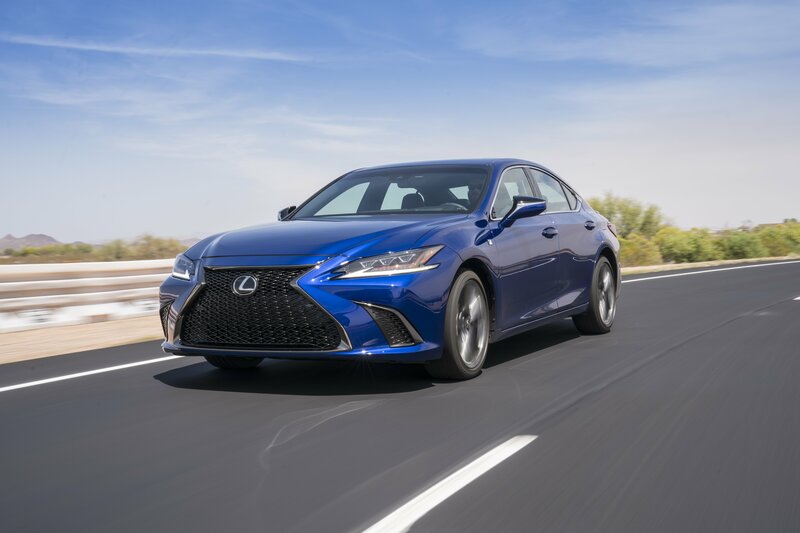 The new 2019 Lexus ES is here in Calgary, and its striking design and commanding performance is a bold step forward. Book a test drive to experience its latest technologies, interior craftsmanship, and easy-to-drive performance. We offer the Lexus ES in both gas and hybrid models, with available F SPORT Series 1 and F SPORT Series 2 packages for the first time ever. The standard Lexus Safety System+, vehicle stability control, backup camera with intuitive park assist, and available blind spot monitoring add peace of mind to an already peaceful ride. This next generation ES is longer, lower and wider, and has a dramatic slanted roof-line, creating a sleek and graceful coupe-like silhouette. Engineered on Lexus' new Global Architecture K platform, the 2019 Lexus ES features bi-LED headlamps and cornering lamps. The sharply chiseled rear is wrapped around the corner panels with LED lamps, creating a continuous styling line. Slide behind the wheel, and you will be rewarded at every turn. The driver-oriented cockpit features 10-way power adjustable front heated and ventilated front seats. Meanwhile, the instrument panel, centre display screen, and available heads-up display are right in your field of vision. Nuluxe and available leather interiors in Black, Flaxen, or Chateau and Striated Black, or Linear Dark Mocha or Linear Espresso wood trim create the feeling of premium handcrafted comfort. Always moving forward, Lexus packed the new ES with all of the tech features that luxury drivers love. Welcome to Lexus of Calgary! We would love to connect with you. To learn more about the 2019 ES, fill out this form below and a member of our team will contact you shortly!